When the protests in Egypt erupted, it became clear that it was time for the government to be overhauled and for President Mubarak to reassess the situation. 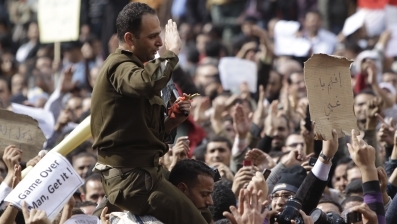 As the tensions continued to grow, Mubarak asked his government to step down and brought in a new cabinet. As the protestors grew violent because what they really wanted was for Mubarak to step down, it was President Obama and the United States that first reached out to the Egyptian leader in an attempt to resolve the issues. Obama and members of his administration have been communicating with Mubarak and his associates in order to make clear what needs to be done for the new government to take over. One of the main points made by Obama’s administration is that for true reform to take place in Egypt, Mubarak must step down and the top politicians in the state must be brought in to formulate a government that is best for the Egyptian people. American officials are making it clear that there is no plan set in place at the moment. The current goal is to get a hold of Mubarak’s opponents in the political world in order to bring them into the new government and combine the best ideas of the top politicians. The main problem with the situation at the moment is that Mubarak is refusing to step down. He will only say that he will not be aiming to get reelected in September, but not that he will step down as the people want. A member of the United States State Department said that while Mubarak will not meet the demands of the Egyptian people or the Western world, “the opposition has to be willing to participate in negotiations,” regardless of the obstacles set by Mubarak. Mubarak is taking the stance that if he leaves office now, the country would be left in turmoil and the transition into a government system with free and fair elections would not be an easy one. As tensions still remain high in Egypt, the coming days are going to be observed closely. The way the next few days unfold will tell government officials whether the anger is calming so that talks between top politicians can commence.